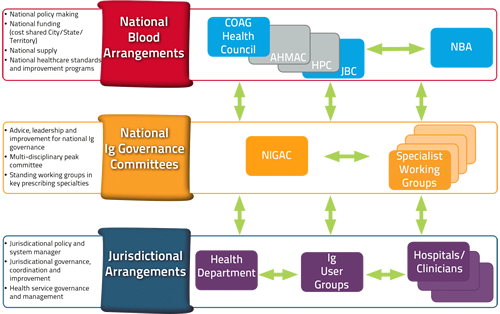 The National Immunoglobulin Governance Advisory Committee (NIGAC) is the peak committee in a national network of existing jurisdictional and specialist working groups that have been established under the National Immunoglobulin Governance Program. In addition, NIGAC plays a critical leadership role to ‘champion’ for the program performance improvement supporting more cost effective and appropriate clinical practice and better governance, management and use of Ig products. The four medical specialist representatives on NIGAC each chair a Specialist Working Group, providing established links and working relationships to be able to make recommendations and receive advice regarding prescribing practice within specialties and related to eligibility for access and reforms to the Criteria for example. Four immunoglobulin specialist working groups have been established as the national functional autonomous structures to provide expert medical advice and clinical considerations for the Ig Governance program in each of the areas of Haematology, Immunology, Neurology and Transplantation. Representation is sought from additional specialty areas (e.g. Rheumatology, Dermatology) as required. Provide advice and contribute to Performance Improvement activities including the review of data and reports and identify, make recommendations and take action regarding opportunities for continuous improvement. Contribute to the national body of knowledge and the broader Ig Governance Program including liaising as part of the national network of committees (including with NIGAC, other SWGs, and jurisdictional Ig advisory groups) as required. 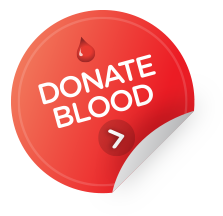 Receive advice from jurisdictional clinical stakeholders regarding the Criteria.